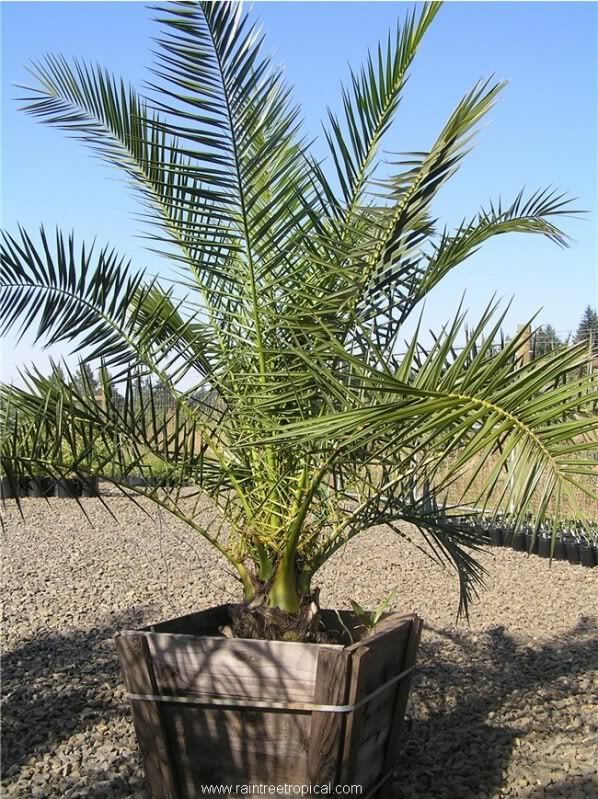 Culture: Fresh seeds of the Phoenix canariensis germinate easily. 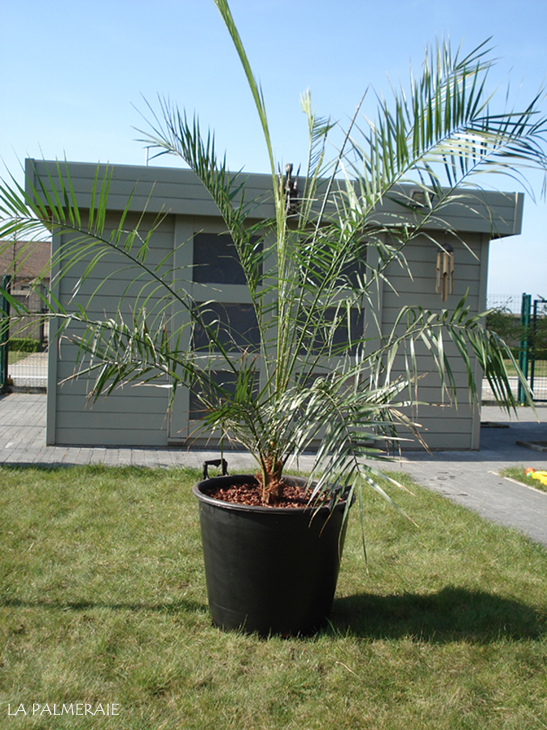 As a seedling the Phoenix canariensis grows slowly but growth rate increases as it grows. 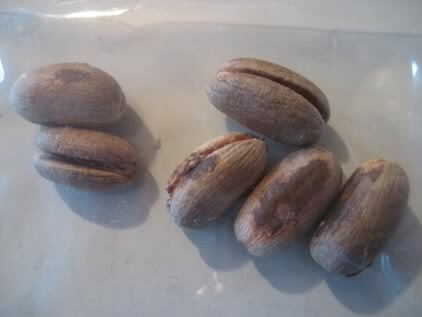 He tolerates very good heat, cold, drought, … making him do well as a container plant on the terrace or balcony. 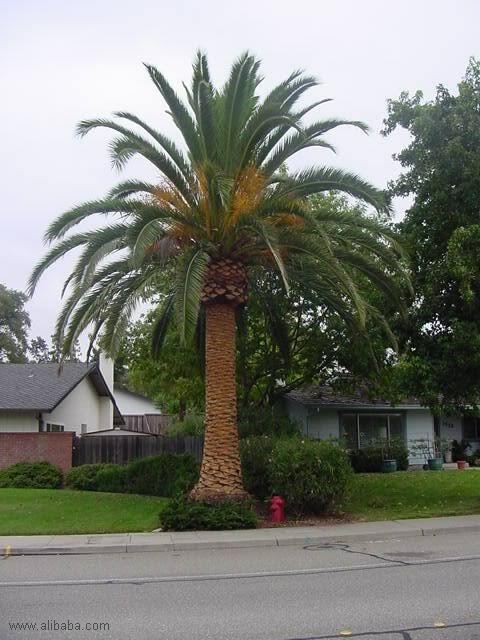 He can be well placed in a sunny position as long as there is enough water available. 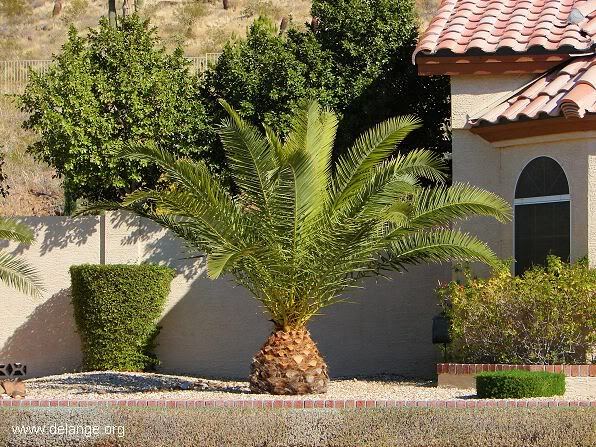 In winter, this palm should be well protected against frost. Even safer is to take him inside during winter. 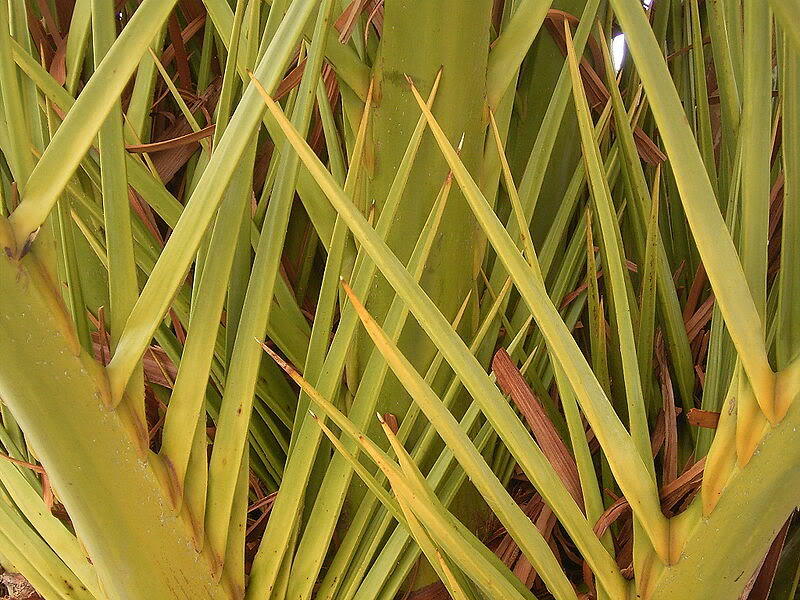 Use: This most cultivated species among the palms is very common in popular holiday destinations around the Mediterranean sea area. 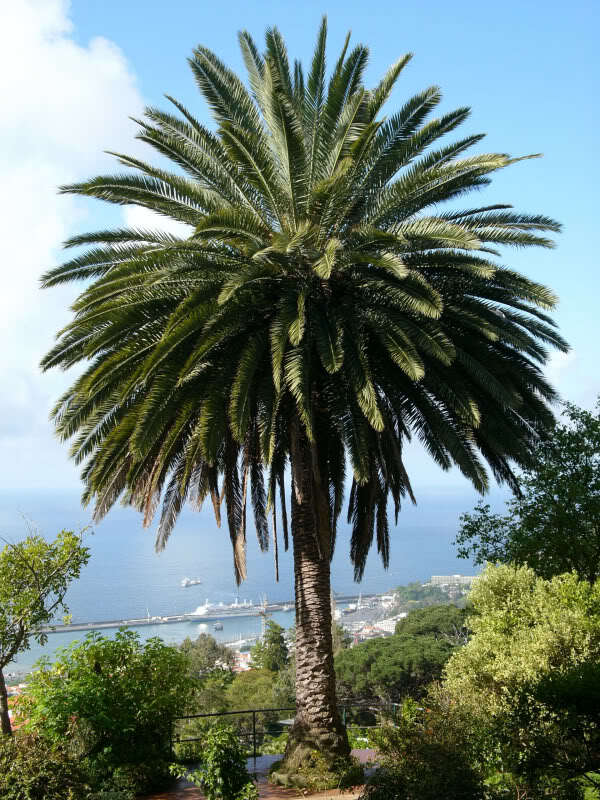 The Phoenix canariensis fruits are not suitable for consumption. 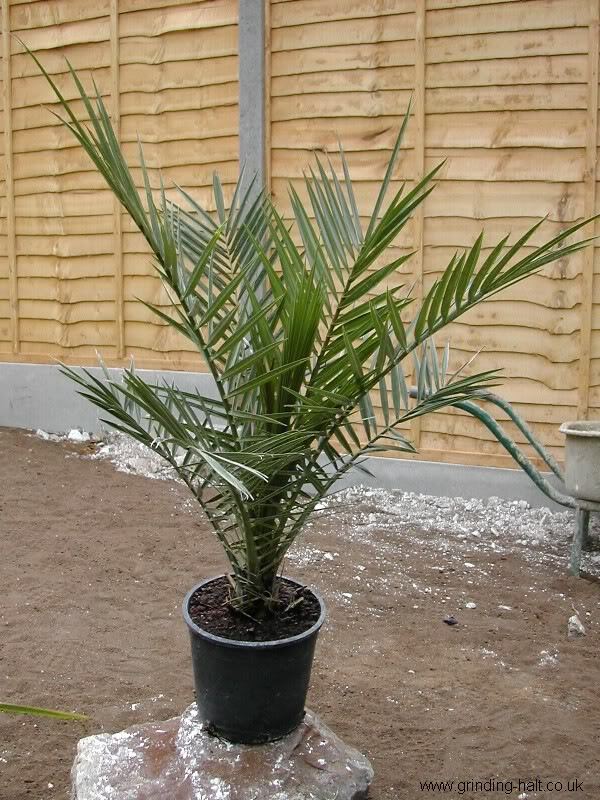 This palm is sold very frequently for a low price and is therefore a good beginner palm.